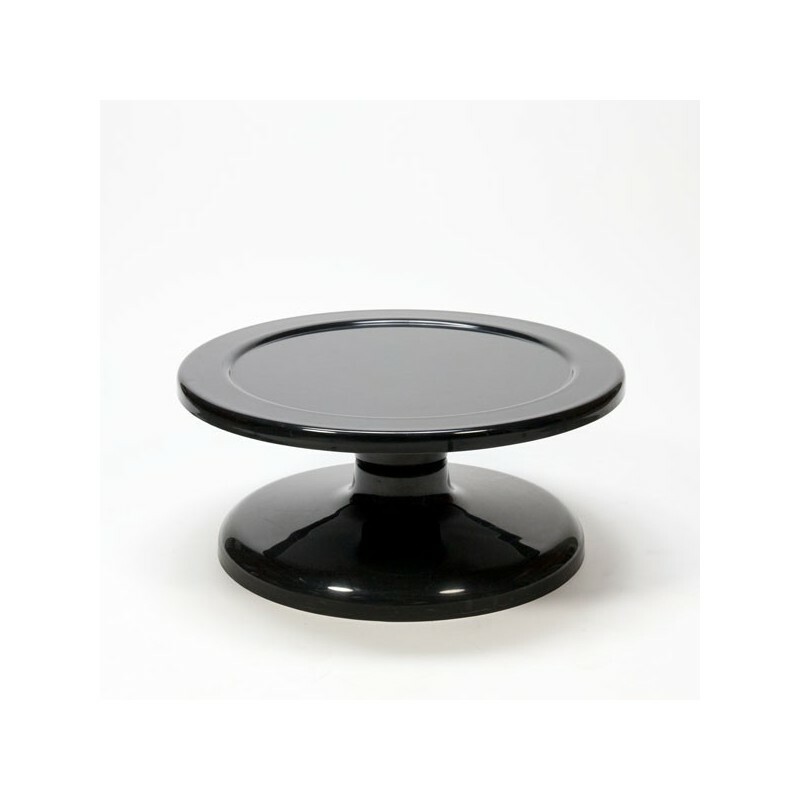 Vintage space age coffee table from the sixties. 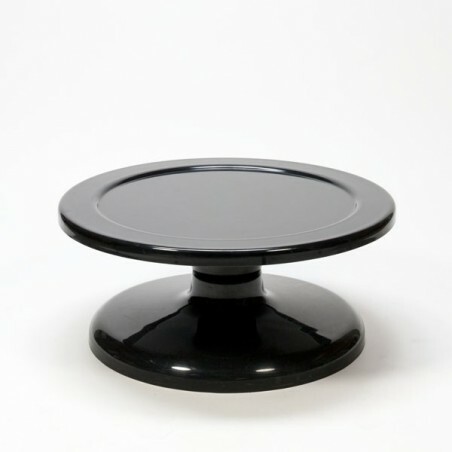 The table is made of black plastic and stands on a tulip base. The condition is quite good considering the age, see the detailed pictures. The size is 81.5 cm in diameter and 36 cm high.